I mentioned in this quick post that I had signed up for A Beautiful Mess' Blog Love e-course.I promised you guys a review so, here it is! Most people already know about Elsie and Emma's wonderful blog over at A Beautiful Mess, so I won't go into great detail describing their blog or small business. Basically these girls are crazy talented at what they do and have owned several small businesses and different blogs along the road to A Beautiful Mess and Red Velvet (their vintage and handmade shop), so they really know their stuff! I've been a regular reader of A Beautiful Mess for While, and came across this post: "5 Tips for Bloggers", after reading this I was hungry for even more information on blogging and beginner blogs. 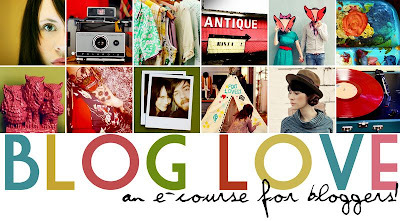 I looked around their blog a little more and realized they offered an e-course called Blog Love. I had butterflies in my stomach, I read the description and course preview over and over again. I'm usually a pretty frugal person, so it was a little hard for me to spend $32.00 on something I couldn't touch, see, or feel. I don't usually like online shopping because I can't see what I'm really getting for my money. After reading a few reviews online and re-reading the description (yes, again!) I finally made the jump and bought the course, and I am so so so glad that I did! I started working through the course right away, I'm a pretty fast worker so I finished in about four days, working for an hour or two each day. I did all the suggested homework and more! I have a notebook with pages and pages full of ideas now. The course also inspired me to completely overhaul the look of my blog and I am so happy with the new design. The only thing I would say I didn't like about the course is that there are slight differences in the web version vs. the downloadable PDF version. Just differences with the pictures and where they are placed, not the actual content, but this sometimes makes the content a little more confusing when they are describing a photo that is no long "above". It wasn't so confusing that I couldn't figure out what picture they were talking about though. Another very small flaw is that in the PDF version the links aren't click-able in my PDF reader, so I have to copy paste them (which is fine!) but some of them didn't work and I had to delete a space or two in the URL to get to the pages. 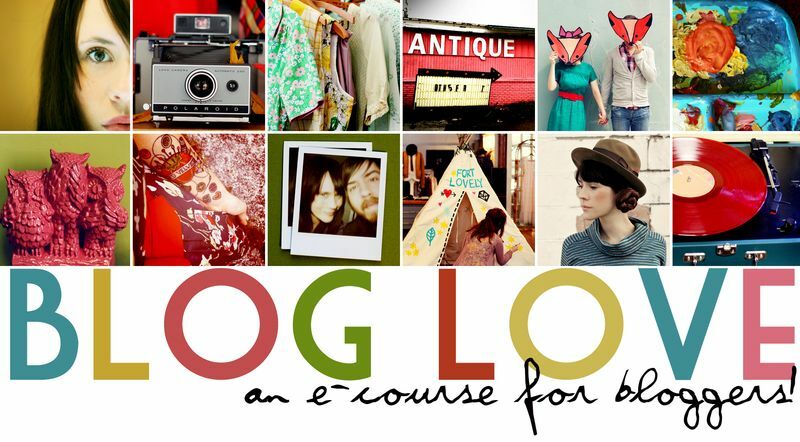 Overall, this course was a good investment in my blogging future! $32.00 may seem like a lot to spend depending on your background/income sources, but the tips and tricks I learned along with personal stories from Emma and Elsie about past mistakes and the story of A Beautiful Mess were well worth the money spent! I would definitely suggest this e-course to any new blogger, or even an experienced blogger who wants to freshen up their blog! Hello there ! I ended up here coz i was thinking of buying their e course. Thank you for writing a review. Also, i am enjoying reading your blog. Cheers ! I've been scouring the internet for reviews of this course as well!! Thanks for your help! Thank you for this review! Super helpful for me!